A potent anti-ageing formulation infused with nutrients to help combat dry, stressed skin. This skin boosting blend helps to smooth the appearance of fine lines and wrinkles whilst refining the look of pores and helping to restore the skin’s natural moisture levels, reviving a tired looking complexion. 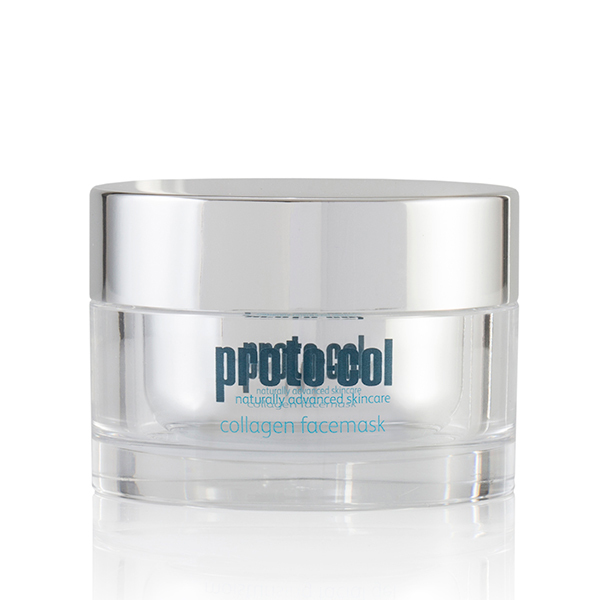 The soothing, calming ingredients in Proto-col’s Collagen Facemask moisturise dry skin, often caused by environmental factors, stress, cosmetic procedures and external irritants. Apply Collagen Facemask to a thoroughly cleansed facial contour area, then cheekbones and smile line. Gently apply around the eye area. Perfect to use either as a treatment for very dry/stressed skin, or applied as a thin layer to leave on overnight.